An eclipse flight is the perfect contingency plan for this total solar eclipse. 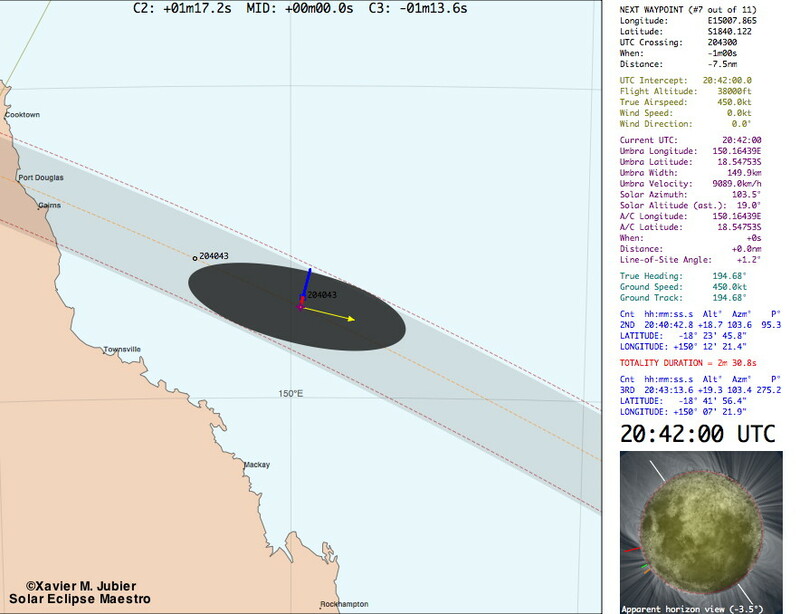 In the hours leading to the eclipse mobility will be a problem in the whole area around Cairns for various reasons: totality occurs only one hour after sunrise, there is only one road along the coast and getting inland isn’t going to be any easier if done during the night before the eclipse. However having access to a private jet would allow to intercept the shadow over the Coral Sea at a location a few hundred kilometers from Cairns. The E-Flight module of my Solar Eclipse Maestro application can help plan and execute such a flight at the last minute.